The Aviator Touch PRO features an intuitive graphic interface that makes it easy to use and navigate. 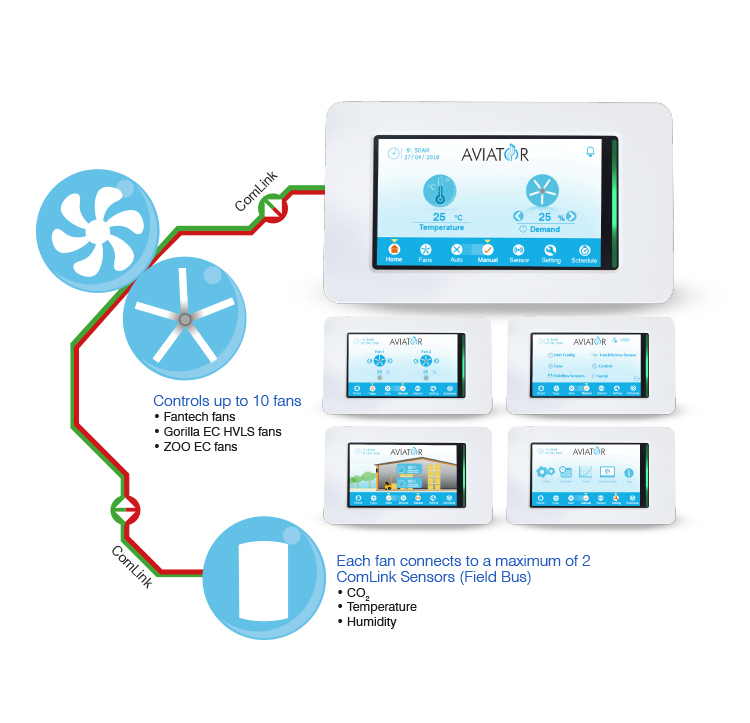 It features a high definition 4.3” LCD touch screen, and integrated temperature and humidity sensors. It is ideal for most small to medium sized ventilation applications such as warehouses and sports pavilions. It is designed to manage a small network of up to 10 EC fans and be connected to 1-2 Sensors. This innovative controller simplifies installation and comes factory preconfigured to suit the needs of specific applications. 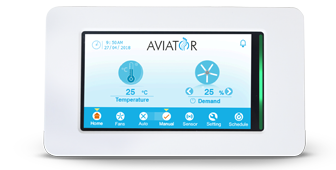 The Aviator Touch PRO can operate each fan individually or help drive a Demand Control Ventilation system.